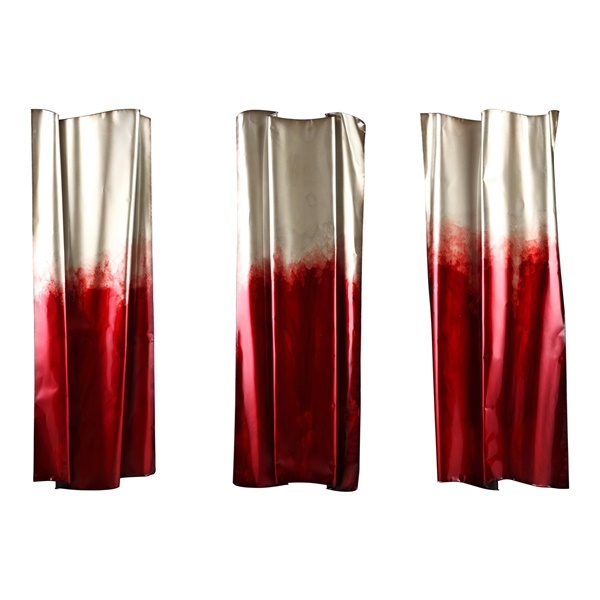 A truly out-of-the-ordinary iron creation with a curtain-like aesthetic, Red Shimmer Wall Décor (Set of 3) by Moe’s Home adds a unique floating fluid flair to any contemporary area. With detailed ripples that practically move, Moe’s Red Shimmer Wall Décor (Set of 3) offers a vivid vibe in various venues, in the home or even at the office. Expert craftsmanship of quality iron. Unique décor elements for the contemporary area or eclectic aesthetic.